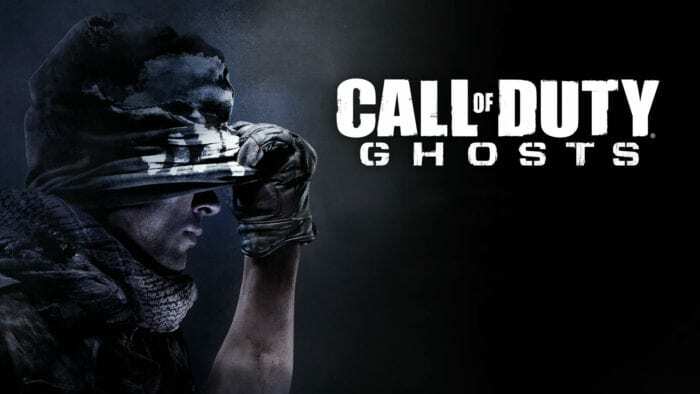 Call of Duty: Ghosts was to mark the series’ debut on next-gen consoles, promising dynamic lighting and highly detailed visuals that would transition the CoD franchise to a new and improved engine. It should come without saying that Ghosts had a lot of hype behind it, but instead, this entry is frequently remembered for openly promoting its fish AI and the in-game light shafts falling in from the opposite direction of the source, leading many to speculate most of its next-gen implementations were but gimmicks. On top of that, it was later revealed that Ghosts reused assets of previous entries, adding insult to injury. Featuring an insultingly short campaign the competent player could beat in about five hours, Call of Duty: Ghosts offers the least enjoyable content in the series to date, adding forced mechanics to the multiplayer like power sliding and stabbing animations that truly damaged the pace of the experience as well as replacing the beloved Zombie Mode with the alien-focused Extinction Mode. Looking at the multiplayer side of things, Call of Duty: Ghosts was incredibly forgettable. Levelutions did manage to alter the maps when a certain time limit was reached or when specific player actions were completed, yet the general design of Ghosts’ multiplayer maps felt like bland recycled versions of the entries that came before. Add to that a horrendous net code on PC and an array of dull weapons, and Call of Duty: Ghosts was quickly shoved aside by fans who sought comfort and enjoyment in previous installments. 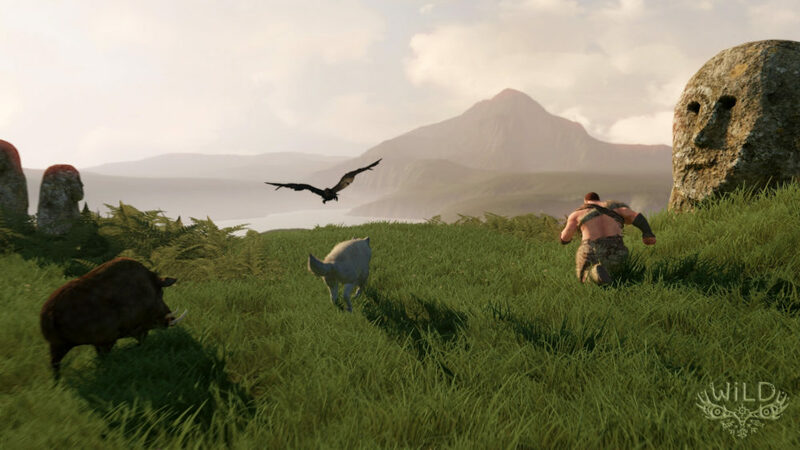 The Extinction Mode initially had fans in anticipation, leaving the established Zombie Mode and Spec-Ops missions for what they were in an attempt to create something new. Sadly, Extinction felt like a dumbed-down version of Zombies, offering little of the intriguing map design and character dialogues that made Zombies so popular. 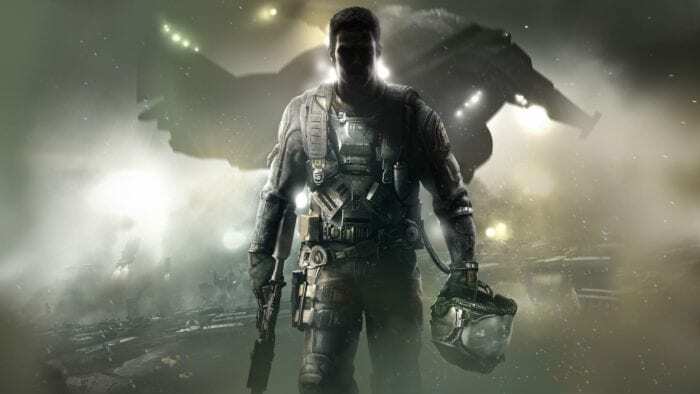 Ghosts may have been a financial hit, being the fourth best-selling Call of Duty title to date, but both critics and fans alike reacted with largely negative responses, kicking off the series’ transition to next-gen consoles in a worrying way. 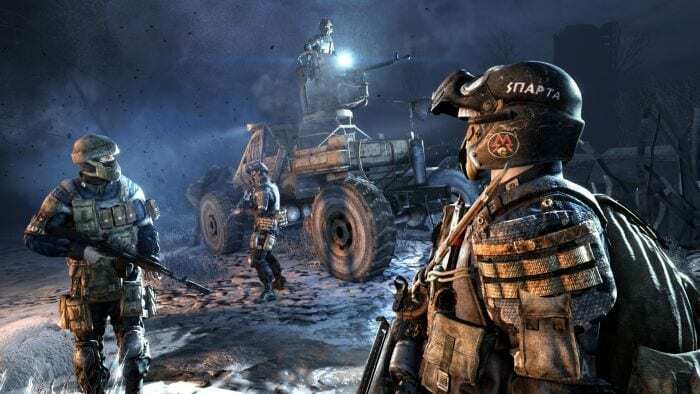 While Treyarch has become a fan-favorite developer for Call of Duty games over the years, the series’ official third outing was the studio’s first rocky attempt at reinventing the genre. Call of Duty 3 didn’t manage to grasp its players like its two predecessors did, altogether neglecting the PC crowd since Treyarch was unfamiliar with developing games on PC at the time. 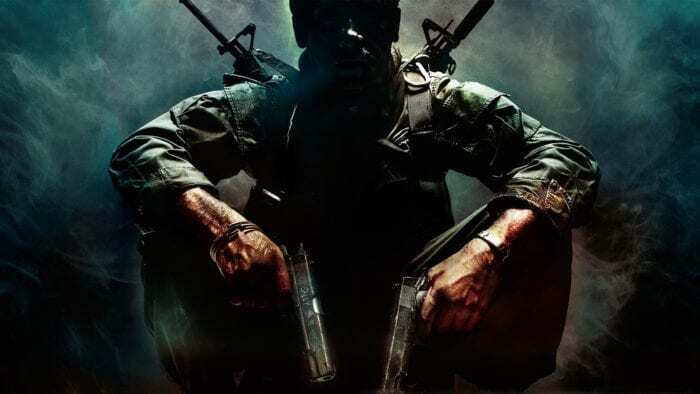 According to reports, Call of Duty 3 had a mere 8 months of production behind it leading up to its release, causing the final product to feel largely rushed and unfinished despite looking real pretty. 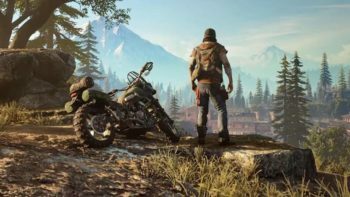 Its story was bland compared to that of Call of Duty 2, leaving fans with a quite honestly forgettable story ridden with bugs and glitches that didn’t manage to captivate as much as they had hoped. Whereas Call of Duty: Ghosts was considered as an insult to the series, this third entry caused but a small stir among the gaming community at the time considering Call of Duty as well as gaming in general simply weren’t as popular and beloved as they are today. However, looking back at Treyarch’s debut jab at the series, there simply wasn’t too much to love here. Despite other entries in the Modern Warfare sub-series raising the standard for first-person shooters consecutively, Call of Duty: Modern Warfare 3 was found to be largely lacking any sort of improvement, feeling like a shinier version of the previous Modern Warfare title rather than delivering something memorable of its own. While its single player campaign offered some satisfying conclusions and heartbreaking story developments for the Modern Warfare series, there was little here that had the player coming back. 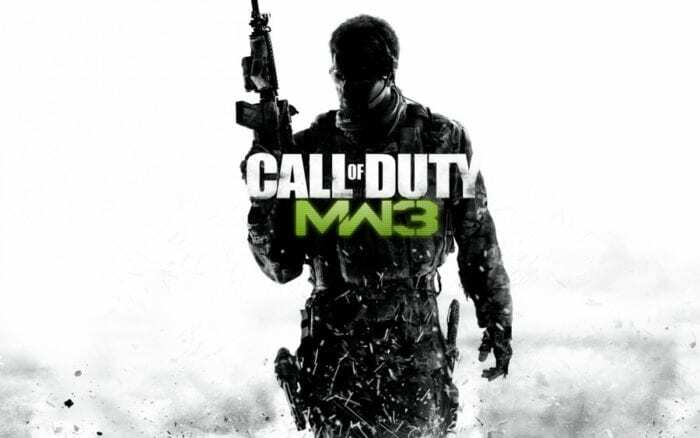 Levels were designed a bit unevenly and, as feared, most of the development was noticeably spent on fine-tuning Call of Duty: Modern Warfare 3’s multiplayer aspect, causing both the single player as well as the returning Spec Ops mode to feel underwhelming at best. Despite having spent a lot of time perfecting its multiplayer, Call of Duty: Modern Warfare 3 felt oddly uneven. It took around two or three bullets to kill the opposing player, meaning the one who got the drop on the other would most likely emerge victoriously from that gunfight. The weapons were unbalanced and in combination with the general map design, Modern Warfare 3 almost encouraged camping. Sitting it a corner with a silenced sub-machine gun was the easiest way to score those big kill streaks that could effortlessly clog up the entire map with sentry turrets and automatic choppers. With most of Call of Duty: Modern Warfare 3 feeling like a less impressive version of Modern Warfare 2, this is the title that exposed the series’ toxic community as well as starting the whole controversy around the annual release of Call of Duty games, claiming the developers would rather cash in on the name slapped on their titles instead of delivering a well-polished, evenly designed game. This was the point where the Call of Duty series was seen as a “quantity over quality” series, which is a stigma that remains until this day. While the original Black Ops took players back to the Cold War era with Modern Warfare’s more modern setting breathing down its neck, Call of Duty: Black Ops II became the series’ first entry to dip its pinkie toe more than a few years into the future. 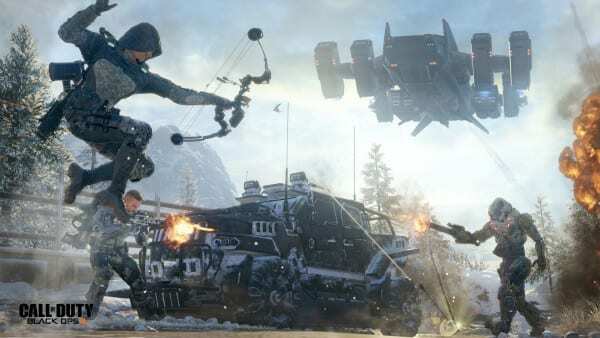 Instead of fully realizing this setting, however, Black Ops II frequently hops back and forth between the 1980’s and 2025, creating an experience that ultimately turned out to be uneven with quite a few rushed elements to it. The campaign is most guilty of jumping back and forth through time, returning to the setting of the original to highlight an aspect that played a bigger role in the future. Just like in the multiplayer, players could choose from and create their own varieties of class set-ups before starting some missions, which would ideally lend itself to a more personalized player experience. However, this addition felt shoehorned in since most weapons dropped by enemies supplied you with the ammunition you direly needed or came equipped with better attachments. In the end, Call of Duty: Black Ops II told a rather unmemorable story that tried to bridge the gap between timelines, only to create a messy and irregular story experience. Its multiplayer came with modes and additions that generally improved upon that of the original, allowing for more flexible emblem creations as well as the still present Pick 10 system that allowed players to fill up to ten slots with items they desired. Its maps were largely well crafted with a nicely balanced selection of weapons, but what hurt its reputation was the foul taste Modern Warfare 3 had left behind, causing players to abuse the Pick 10 system to create decked out knife-only classes as well as a variety of other loopholes, with most of those players solely aiming to ruin the experience for others. Campers were still far too many and at times entire lobbies would be filled with hackers or players using nothing but a shotgun, for example, which seemed to occur more often compared to previous titles. One thing that truly had fans stoked was the return of Zombie Mode, promising to expand upon what had been established in Black Ops. While most of its DLC maps certainly delivered, the standard TranZit map just didn’t fit the madness of the previous Zombie Mode, constantly interrupting the flow of gameplay by splitting the map into different sections that had damaging streams of boiling lava running throughout them. These sections were divided by a thick black fog that was hard and deadly to traverse, causing players to rely on the auto-piloted bus that would transport you from map portion to map portion. Once again, it was the community that largely ruined this experience, with most online lobbies hopping on the bus whilst leaving you stranded in the midst of dozens of Zombies in but a chunk of the map. Not only can Black Ops II be blamed for taking the series into a more futuristic direction, but it further strengthened the general gamer’s opinion that the Call of Duty series merely wished to make a profit off popular sub-series. Just like Modern Warfare 3 was a major step backwards, Black Ops II was a sign to many that the franchise was running out of fresh and innovative ideas, leaving its fan base skeptical about the series’ future. Following the downfall of the series after Modern Warfare 3 and Black Ops II failed to impress, also considering how Ghosts was seen by many as a big middle finger to those who stuck with the series, many were left unimpressed and even outraged when Call of Duty: Advanced Warfare was announced to have exo-skeletons, cyborgs and double jumping, taking the franchise even further into futuristic territory. Luckily, Advanced Warfare wasn’t half bad. It introduced a fresh movement system that effectively gave the jetpacking, double jumping player an advantage over the still campers in the lobby, which added a much needed sense of depth and possibility to a shooter series that had its feet planted into the ground for a tad too long. Its story didn’t truly reinvent story telling, presenting the player with a more linear level structure that didn’t always complement Advanced Warfare’s newly found mobility. Not even Kevin Spacey could make this soft-core sci-fi story worth its while, although we believe some can find an interesting tale here of how technology will continue to… well… advance warfare. Multiplayer-wise, Call of Duty: Advanced Warfare was simply a joy to play. With tons of greatly varied weapons, as well as introducing player customization and weapon variations obtained through loot boxes, Advanced Warfare’s improved mobility effectively got the series back on track. Gameplay felt more balanced and actually relied on skill despite some score streaks feeling ridiculously overpowered. Daily and weekly challenges that rewarded the player with loot boxes also encouraged to return occasionally, albeit to obtain that one sought-after helmet or ASM-1 variant. In bringing back Modern Warfare 3’s rather tedious Survival Mode, Call of Duty: Advanced Warfare made its major mistake. Playing through these waves simply wasn’t fun and would only make it worth your while if you were after specific multiplayer unlockables to further customize your character. Later on, DLC introduces Exo-Zombies, which was a fun and frantic spin on the beloved Zombie Mode that, despite suffering from overall mundane level design, felt like a welcome merger between Treyarch’s endeavor and the improvements sequels could potentially bring forth. Despite offering one of the series’ most intriguing stories since Call of Duty 4: Modern Warfare, Infinity Ward struggles to keep the franchise fresh with Call of Duty: Infinite Warfare now that its annual release schedule is creating some genuine fatigue. To the surprise of many, Call of Duty: Infinite Warfare tells an interesting story that tackles issues like colonization, race, and our very own resources. Paired with some excellent pacing, tense blockbuster moments, and a cast of likable characters, this is the strongest a Call of Duty story has been in a long time. Even its controversial space battles made for some genuinely enjoyable action sequences, albeit that the change of gameplay was a bit too brief for some. It’s a shame, then, that Call of Duty: Infinite Warfare does so little to fully utilize its potential. 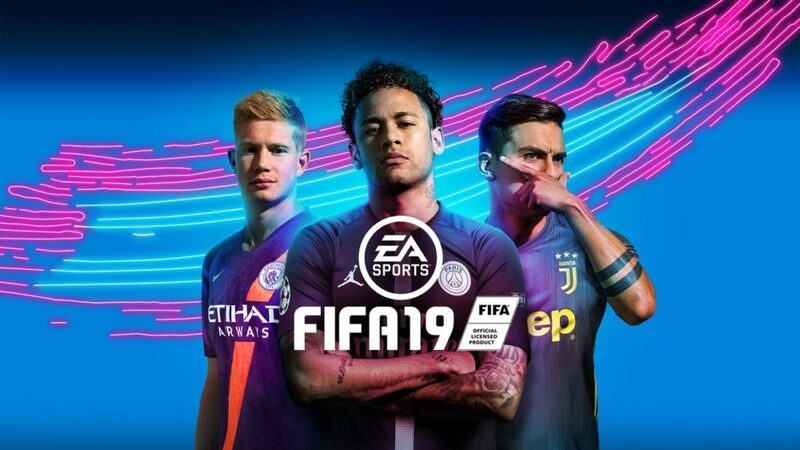 The multiplayer feels a tad too familiar and doesn’t take any real risks, although largely relying on microtransactions rubs tons of players the wrong way. It’s space-based Zombies game mode is a fun addition, but sadly, that too is starting to get affected by the series’ annual releases. While it’s not as horrible as people thought it would be, it’s far from as good as it could have been. Infinity Ward is starting to lose its grip on the series, and quite honestly, people are starting to lose interest in the series at this point. If ever there was a time for a break, this would be it. It’s the one that kicked off one of gaming’s most iconic franchises in history, and for that, Call of Duty will always hold a special place in our hearts. 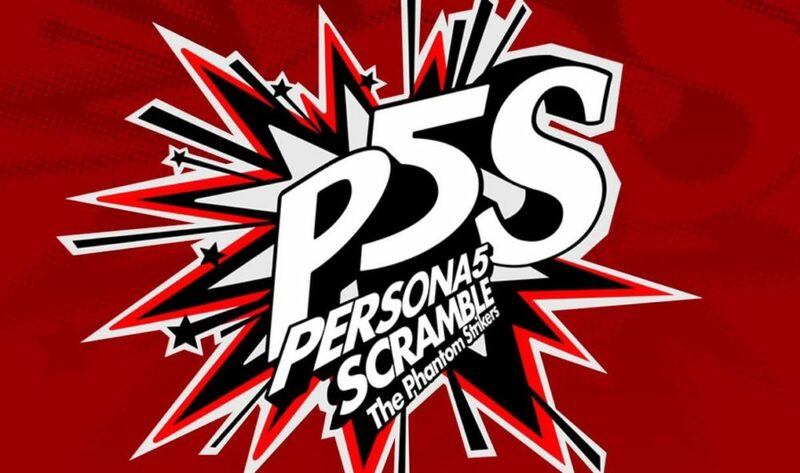 However, looking back at this classic title, it becomes clear that all of the upgrades and improvements the series has had over the years were necessary. Yet for a game released back in 2003, Call of Duty sure left its mark. Developed on the Quake III Arena’s id Tech 3 engine, Call of Duty sported some rather impressive visuals that did a phenomenal job of immersing the player in its Word War II setting. The game switched between the Red Army, as well as American and British paratroopers to sketch a clear vision of World War II from three different perspectives. This more gritty and realistic take on that time period made Call of Duty an instant hit with the gaming crowd, with it still being praised for its gracious presentation. 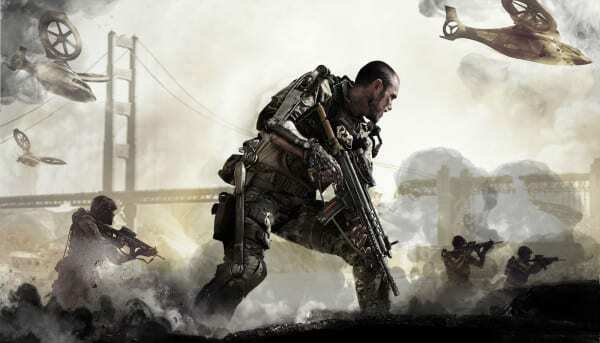 While it may be a bit simple by today’s standards, Call of Duty was innovative regarding its single player story besides its revolutionary online multiplayer mode. It wasn’t as deep as we know and love it today, lacking customization among a variety of other things, but it was one of the few shooters that could successfully immerse the player in infantry warfare with its focus on teamplay. Most shooters in that time offered either free-for-all experiences or a more arcade-y playstyle set it relatively small maps, with fine examples being Doom and Quake. 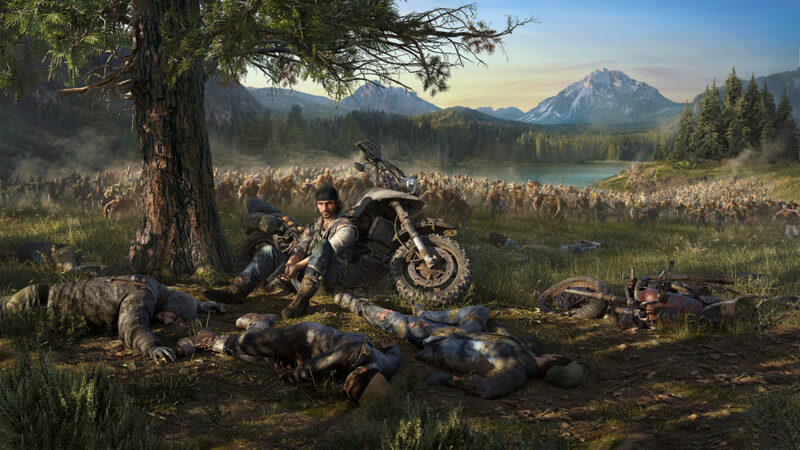 While there wasn’t anything wrong with that at all, its recurring gameplay became a bit indistinguishable for genre veterans and the general lack of realism had dragged on for quite a while, until Call of Duty placed its players in the midst of massively engaging battlefield, thus laying the foundation upon which its sequels and the shooter genre in general have since built. As any proper sequel should do, Call of Duty 2 improved upon its predecessor in almost every single way, creating a much more refined shooter experience that introduced one of gaming’s most implemented features, namely that of regenerating health. Absolving the need to find health pick-ups scattered throughout the maps and levels, Call of Duty 2 was given the ability to shift its focus more towards its excellent shooting mechanics, never letting the pace of battle slow down for too long when you were in dire need of medical assistance. As a result, its gameplay was much more fluid and engaging at but the slight cost of some realism, which allowed the player to enjoy Call of Duty 2’s eight hour long campaign without once having to keep an eye on a health bar of some sort. Don’t let regenerating health fool you, however, since the AI was much more aggressive compared to the original Call of Duty, presenting the player with a way tougher challenge this time around. 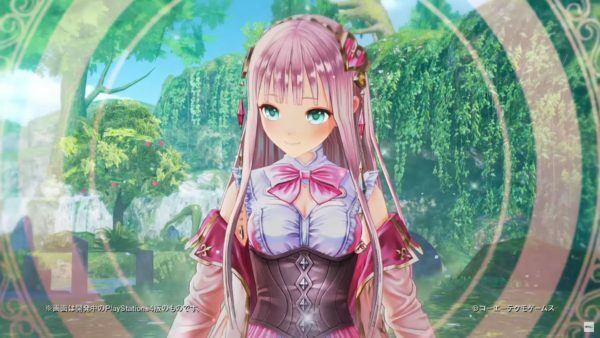 Its actual gameplay hadn’t been switched up too much, but the mechanics supporting it had been tweaked and altered to ensure an optimal in-game experience. What Call of Duty 2 did for the franchise was shape it, molding its established elements, features, and mechanics to create a new standard for first-person shooters. This flexibility and the swiftness of shooting has become the series’ trademark ever since, and Call of Duty 2 is the title we should thank for making these spot-on controls feel exactly right. Plus it introduced us to Captain Price, which was a more than welcome addition since Price has pretty much become the face of the franchise. Call of Duty: Black Ops III made full use of the more flexible mobility introduced in Advanced Warfare, going as far as to implement wall-running and an improved version of the exo-suit allowing you to hover, double jump and power slide at the cost of some regenerating fuel. For the first time since Modern Warfare, the series felt truly fresh and innovative, making full use of its now well-established futuristic setting to add an array of gameplay possibilities. In more ways than one, Call of Duty: Black Ops III has redeemed the series after a couple of rough years, nudging the franchise back on track. Reintroducing a four-player campaign for the first time since World at War made Black Ops III’s story one of the most enjoyable, albeit an unnecessarily complex tales the series has told to date. Given a few basic customization options as well as it’s own experience system and the ability to fully bring your multiplayer classes over to the campaign, you and up to three friends could hop into the story mode together and yet play in vastly different ways. Each time the player levels up in the campaign, a token is rewarded that can be used to upgrade and purchase unique abilities. 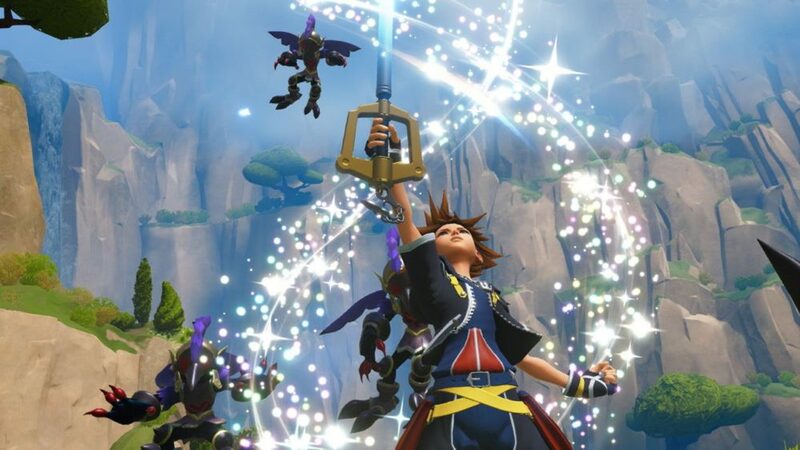 These abilities come in three branches that contain a nice variety of skills, such as distracting human enemies, frying robot electronics or releasing a swarm of incendiary nano-bees. Add to that the choice to enable a couple of passive abilities as well, and the amount of gameplay variety makes Call of Duty: Black Ops III the most replayable single player and co-op experiences the series has ever seen. Also returning is Zombie Mode, like we all know and love it, bringing along its own level progression that unlocks the ability to obtain new Gumballs. These GobbleGum Gumballs are temporary boosts that have vastly varying effects, like being able to walk faster while aiming for the duration of three rounds or guaranteeing you won’t lose your current weapons upon death. The standard map may be a bit simple in general presentation, but it feels considerably larger compared to previous Zombie maps. Add to that a charismatic new cast of characters and a much more grounded story, and you’ve got yourself a Zombie experience that could be worth the asking price on its own. 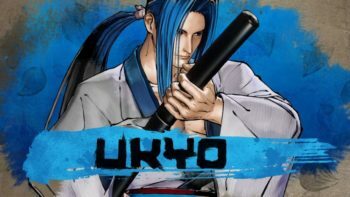 The multiplayer component is also optimized with the new addition of Specialists, which are characters with abilities that recharge during the match. These abilities add a sense of highly welcomed tactical depth to the multiplayer, maybe encouraging you to pick a different Specialist Ability when the opposition is decked out quite nicely. Weapons also feel very well-balanced and can be customized even further with custom paint jobs, and camos you unlock throughout the campaign or Zombie Mode can also be applied to your multiplayer loadouts. Since Call of Duty: Black Ops III allows for much more varied traversal, often times a certain tactic is required depending on the map and the game mode. Some maps encourage wall-running to avoid the enemy’s line of sight, whereas others rely largely on boosting yourself up to a certain ledge to gain upper ground. Every map has portions where one traversal method is more favored than another, yet without ever forcing you to play a certain way, Black Ops III gently guides you to explore its superbly designed maps and use eventual routes to your advantage. Seeing how Modern Warfare and World at War had received praise from critics and players alike, Call of Duty’s popularity was at its peak. 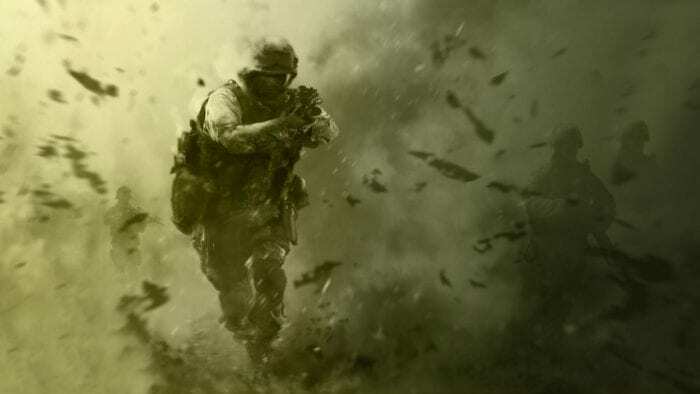 Fanatics were eager to find out what the next installment in the series would be, and to the surprise of many, Modern Warfare would spawn its own sub-series with the release of Call of Duty: Modern Warfare 2. This sequel built upon every aspect of the original, creating an equally unique and finely executed shooter experience that proved difficult to further improve upon. Modern Warfare 2 became an overnight success, with many complimenting its progressive multiplayer experience and its nicely varied missions. The story told in the original Modern Warfare was obviously expanded upon here, delivering some effective plot twists along the way whilst inhabiting its engrossing campaign with likable and now iconic characters like Ghost and Soap. It didn’t attempt to best its predecessor beside upping the scale, respecting what fans loved and presenting the continuation to the intriguing war story that spanned a nice diversity of enjoyable levels. While some played Call of Duty: Modern Warfare 2 solely for its story, the largest chunk of the community undoubtedly returned for this enhanced multiplayer experience. Building upon the multiplayer of the original Modern Warfare that hit the ground running, its sequel created more depth to the presented features rather than adding an array of new ideas, lending the entire multiplayer experience a much more layered and thought-out vibe. Unlocking weapons, perks, score streaks and attachments was a solid process that kept rewarding the player for returning to the online component, quickly creating a dedicated and loyal fan base that still stands strong today. With memorable maps like Rust and Terminal, Call of Duty: Modern Warfare 2 encouraged knowledge and mastery of each map. What surfaces can I shoot through? How can I flank the enemy? Those are just some questions players were posed with, and the community was all over it. Sharing tips and tricks, creating the best possible weapon loadout or showcasing some sick across-the-map throwing knife kills made Modern Warfare 2 an internet sensation. You were either playing the game or researching it, and few other game crazes has left an impression that grand on modern pop culture. Altogether, Call of Duty: Modern Warfare 2 was simply a big step up from the original. Just like Call of Duty 2, Modern Warfare wished to improve upon what was already laid out and tinkered with a few mechanics and features to make them feel fresh and fitting. It feels like a natural step up from the first Modern Warfare, never pushing aside what made it great but rather shaping it to further enhance aspects the general eye may have perceived as perfect. 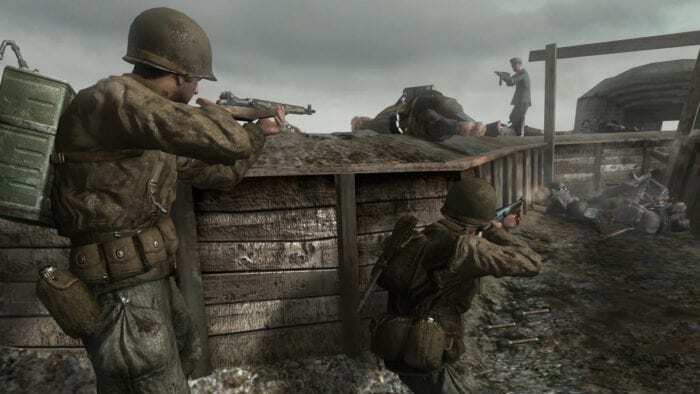 Even though Modern Warfare’s risky decision to tell a more modern war story paid off extraordinarily well, Call of Duty: World at War returned to the rich setting of World War II without fear of it feeling dull, overly familiar or uninspired. In fact, World at War knew exactly what it wanted to do, and it did it effortlessly and wonderfully. Featuring a four player co-op campaign, Call of Duty: World at War brought a tense feeling of comradery with it, knowing you wouldn’t be venturing into the depths of war all by yourself. While not telling a complex and unique war story like Modern Warfare or other first-person shooters released along that period, the thrill of the fight came from action-packed set pieces filled with great weaponry that was best enjoyed with jolly old friends, making this one all about the grand scale of war rather than limiting it to two or three intertwining story lines. 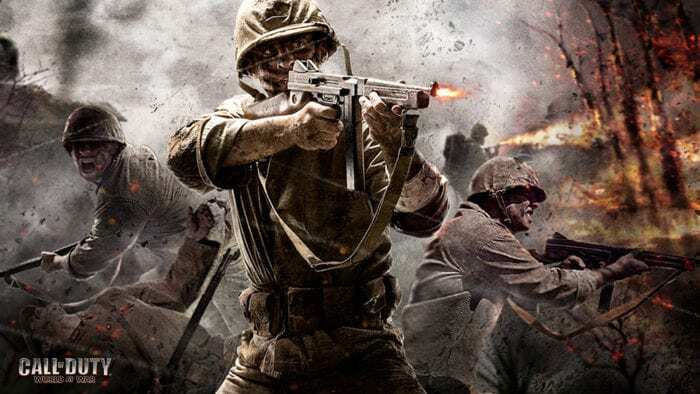 In terms of its multiplayer, Call of Duty: World at War didn’t really need to shake things up too much seeing how players were still in awe with the multiplayer mode presented in Modern Warfare. While it didn’t bring any major changes apart from adding the occasional vehicular warfare, World at War took the beloved multiplayer components and applied them to a World War II setting, not really innovating as much as it played around with the idea how the Modern Warfare multiplayer component would fit if it was set somewhere along the 1940’s. 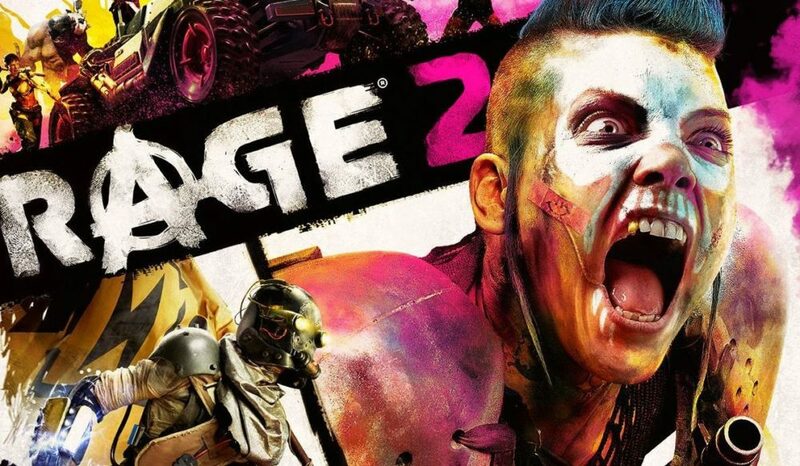 While its multiplayer and campaign modes were well-executed throughout, it’s the newly introduced Zombie Mode that rattled some cages in the best of ways. For the first time in Call of Duty history, World at War created something so seemingly absurd it wouldn’t work, and yet it really did. Not only was Zombies a delightful relief from the constant weight of war or the tension of online multiplayer, but it became a friendly competition to see who could survive the longest. Up to four players could hop into a lobby and attempt to hold out against countless waves of the undead until the Zombies got the better of them. Should I buy a new weapon? Maybe I should try the Mystery Box for a chance at a better gun? Or I could clear some debris to unlock another chunk of the map… Zombie Mode was filled with little tactical dilemmas like these and made for some absolutely intense co-op moments. And, let’s face it, burning dozens of zombies to a crisp with your flamethrower while your downed teammates were cheering and shouting in equal measure to ensure your survival is one of those instances players will never forget. After the Call of Duty franchise thrived from a modern-time setting, Treyarch decided to return to a relatively undiscovered setting, namely that of the Cold War. With there being a lot of pressure on the developer’s shoulders after three consecutive years of massive success, somehow Call of Duty: Black Ops took a giant leap forward by taking a step back. This incredible endeavor shaped the Zombie Mode introduced in World at War and built upon the multiplayer success of the Modern Warfare sub-series, creating a massive amount of content for the asking price. Black Ops’ story, while rather uncanny, told the story of a man who had a series of codes locked away inside his mind without proper recollection, creating a blockbuster action thriller that was unlike anything the series had ever attempted. Somewhat venturing into unexplored territory may have looked like Call of Duty: Black Ops was chasing the innovative ideas brought to the table by the first Modern Warfare, but it felt genuinely unique and could stand perfectly on its own two feet without feeling like a copied-and-pasted version of the titles that came before. Presenting players with the fan-favorite Kino Der Toten Zombie map, Black Ops hinted more strongly toward their Zombie story that is considered canon within its own Call of Duty universe. 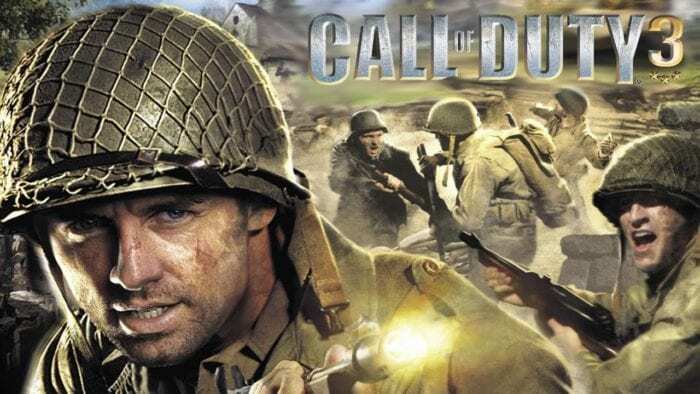 While there was no campaign mode here but rather the same wave-based game mode introduced in World at War, its environments and the many Easter eggs that were to be found in each map kept players feverishly replaying this mode until no stone was left unturned. From seemingly random items that activated in-game songs to insanely complex and time-consuming secrets to uncover, the Zombie Mode in Black Ops left an impression on the series that they have tried to recreate since then, but sadly without as much innovative impact this one made. The multiplayer, while not exactly as richly improved as in the past few entries, was tinkered with to comfortably fit within its setting, providing players with many memorable maps and a vast variety of guns and attachments. With the introduction of the Emblem Creator, players could set loose their imaginations and created some truly fantastic icons, adding a much-needed sense of customization and uniqueness to the multiplayer experience. 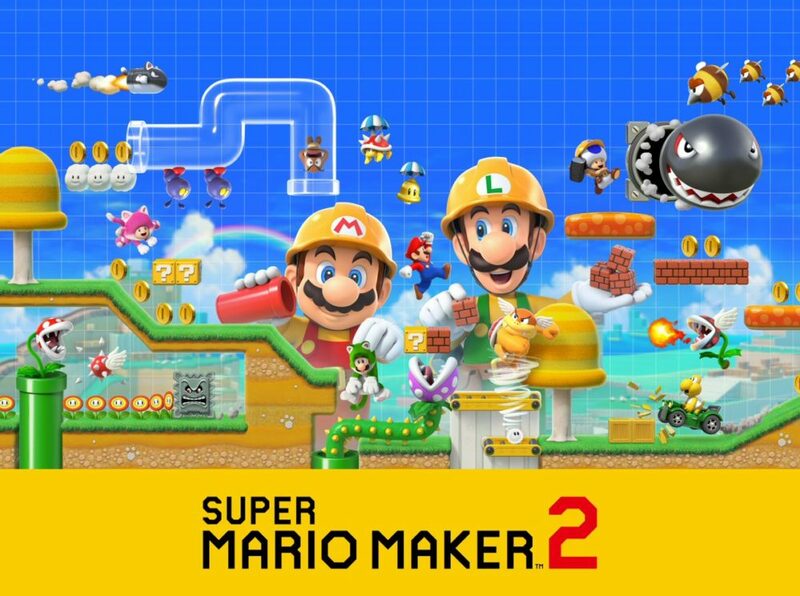 Again, it did little to truly reshape the multiplayer component, but you know what they say; if it ain’t broke, don’t fix it! Modern Warfare is the Call of Duty title that started all the fuss. By the time it launched in 2007, Call of Duty 4: Modern Warfare perfected everything about the series as well as vastly improving upon the shooter genre in general, from its interesting story spanning a nice amount of highly enjoyable and well-varied missions to fine-tuning the series’ addictive multiplayer experience with tighter controls and the introduction of kill streaks. 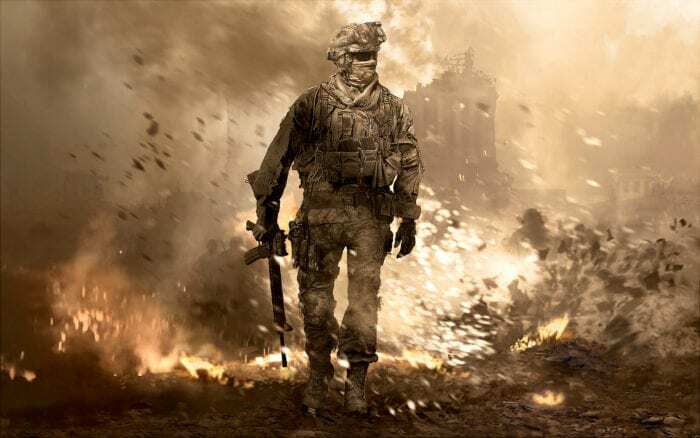 Whereas all previous Call of Duty games were set during World War II, Modern Warfare tore itself loose from that setting and provided the player with a story set four years into the future. It sketched a grim war story that unfolded due to a series of events, which felt actual and fresh at a time where most shooters either had you playing in a warn-torn land that may or may not have been accurate or blasting away at aliens with laser rifles. The risk Modern Warfare took with its more current and modern-day setting was a decision that paid off very well in the end. 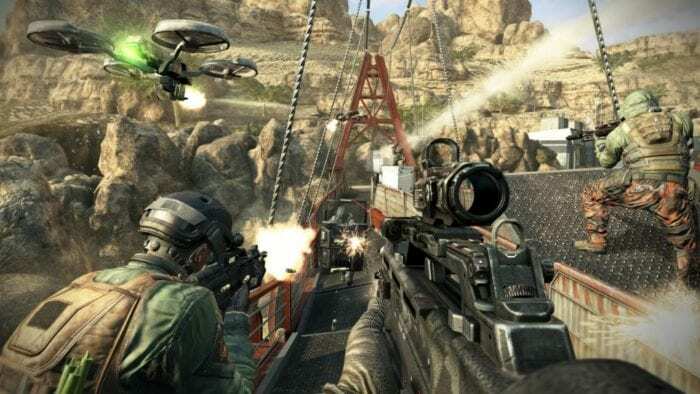 On the multiplayer side of things, Call of Duty 4: Modern Warfare took the established formula and practically infused it with the genre, rewarding players for scoring higher kill streaks by presenting useful and downright epic call-ins. Gone were the days where simply running about and shooting the opposition satisfied the average gamer, because every single player in a multiplayer match wanted nothing but that sick helicopter that’d mow down enemies like it’s no man’s business. Oh, and Modern Warfare started the whole quickscoping thing, so that’s at the very least noteworthy. Those who have played Modern Warfare as their first Call of Duty title will likely stick with the franchise long after Infinite Warfare hit the shelves, hoping the series can pump out another genre-defining gem like this one. In this case, the fourth time’s the charm!